There is growing evidence that North American organizations are becoming more customer-centric. Today’s organizations recognize the strategic advantage of using customer experience to build, reshape or even disrupt markets. Customer experience management is becoming a core competency for many organizations as they drive customer perspectives throughout all aspect of their business. In 2016, Janet LeBlanc + Associates, in collaboration with the Peppers & Rogers Group, conducted an online survey for North American business leaders to ask the question: “What Is Your Customer-Centric DNA?” The purpose of the research was to understand the progress made by North American organizations on becoming customer-centric. Over 200 senior business leaders in North America were asked to rate their organization on three overall barometer measures to test their level of maturity on customer centricity and to delve more deeply into the key factors that define a customer-centric organization. This longitudinal study, conducted since 2012, measures progress against five pillars of customer centricity and 45 essential practices needed to achieve customer experience maturity. 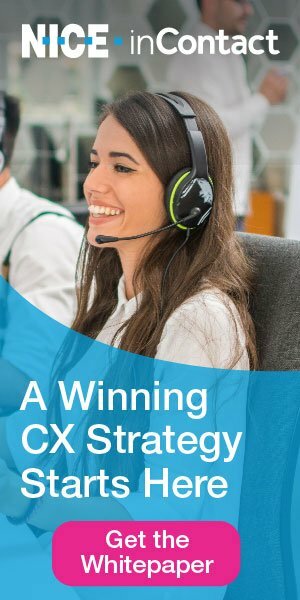 This article presents highlights from this research study and provides CX practitioners and leaders with the opportunity to reflect on how well they have progressed along the journey toward customer centricity. Every transformation toward customer centricity is a journey—in this case, a four-phase journey. Each phase of the journey toward customer centricity requires a different focus of attention from senior leaders and a strong commitment and collaboration across all business units and functional areas. Infancy: Strategic alignment and building leadership support are essential at this phase. Setting the vision and strategy for aligning the customer experience with business strategies and goals is also essential. Developing: Building a coalition of sponsors and recruiting change advocates are needed at this phase. Educating employees about what the future will look like helps employees understand their role in driving customer experience improvements. Transforming: Commitment and endurance are needed during this phase to see a long-term transformation come to fruition. Corporate patience is a must to keep customer experience initiatives on track for the duration of the journey. Communicating success stories helps to keep employees motivated and on track. Truly Customer-Centric: Achieving customer centricity is a major accomplishment and must be recognized and reinforced. Organizations must protect against complacency by keeping the organization focused on emerging customer expectations. The five pillars of customer centricity are foundational building blocks for a customer-centric organization. These building blocks are interdependent: by recognizing the achievement of objectives in one pillar, this will strengthen the capacity to achieve objectives in other pillars. Strategically aligning around the customer requires a shared vision of the ideal experience. It requires a clear articulation of how the customer fits within the organizational mission (why we exist) and within the firm’s values statements (what we believe in and how we behave). It also requires the senior leadership team to unite the organization around a shared vision of the ideal experience (what we want to be) with a clear sense of purpose defined for everyone’s role in serving the customer. Customer-centric leaders know the customer experience brings a brand vision to life. They work hard to unite the organization to a shared vision of the ideal experience. They also ensure everyone understands their role in delivering the ideal experience. More and more organizations today recognize the importance of senior leadership engagement and commitment in driving a customer-centric culture. Improvements in senior leadership results over 2012 show the market is maturing. Organizations recognize that no one leader can achieve customer centricity alone. A strong coalition must exist across the organization to bring about transformational change. Senior leaders need to channel the voice of the customer throughout all aspects of the organization and advocate for customer experience improvements at the boardroom table. They need to regularly showcase examples of employees who demonstrate consistent and exemplary customer-centric behavior. Making customer issues visible throughout the company at all times helps bring the customer to the forefront of the business. Similar to Amazon’s approach to engage all employees through customer service integration, firms must look for ways to interact with customers to fully understand their perspectives. As RingCentral’s Berman says, “Invite your customers in for a conversation.” Customer panels, advisory boards, focus groups and online chats are all effective ways to engage with customers and genuinely get to know them. Only one in four North American business leaders who participated in this survey report clearly communicating what customer centricity means across the organization. The majority neglect training employees to deliver a consistent experience across all channels. As omnichannel marketing becomes more prevalent and seamless, customers will expect a more personalized experience regardless of the channel they choose. Omnichannel strategies must allow customers to pair channels together to facilitate an easier experience. Customers don’t want to tell their story every time they switch channels. Instead, they want organizations to proactively guide them to channels that are more efficient and effortless. The fifth pillar of customer centricity focuses on measurement and rewards. This often-overlooked area provides an important avenue for senior leaders to accelerate the pace of transformational change and achieve a mature customer-centric environment. Annual customer loyalty scores are not enough to prove the value of focusing on customer experience. Instead, there must be a direct connection between customer experience improvements and business growth—a system created that shows a return on investment through market share improvements, revenue growth, and/or cost containment. For customer service professionals, informal recognition is typically an integral part of a contact center team environment. To further drive customer centricity, recognition must be aligned to the vision of the ideal experience and core principles identified that exemplify the core elements of the brand strategy. For example, if “being knowledgeable” is considered a key customer experience principle, senior leaders need to identify employees who exemplify these behaviors. When you recognize an employee, it provides the leadership team with the opportunity to reinforce the new behaviors expected of employees and why a change in behavior is worthy of a reward—from the customer’s and employee’s perspective. The process of mastery—no matter the focus or intent—requires commitment, perseverance and consistency. On the journey toward achieving true customer centricity, organizations typically experience the phases of infancy, development and transformation. Only then can the building blocks of customer centricity be laid: understanding how to strategically align around the customer; realizing the importance of senior leadership; integrating customer perspectives into everything they do; engaging employees to deliver a Branded Customer Experience®; and measuring and rewarding customer experience improvements. Customer-centric leaders who have mastered the ability to design and implement a consistent, intentional customer experience, one that delivers on their brand promise, will outperform the competition. This mastery of customer centricity, in turn, will drive performance results to new heights. Janet LeBlanc is a leading authority in customer value and experience management. She consults with private and public sector organizations in the area of customer experience leadership and how to connect customer strategies to business improvement.